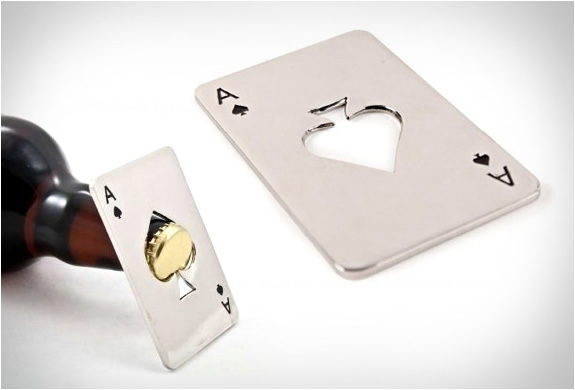 Keep an Ace up your sleeve with the Ace Bottle Opener. 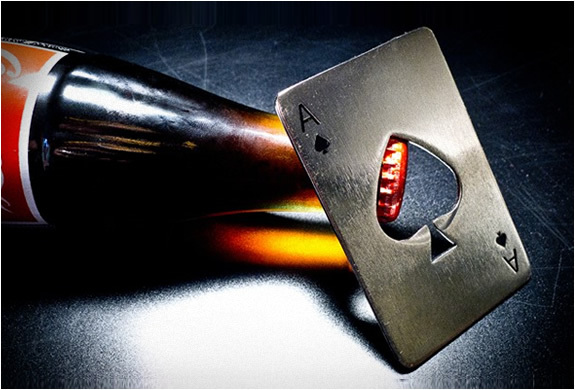 Designed to look like an Ace of Spades, this bottle opener is as cool as it gets. 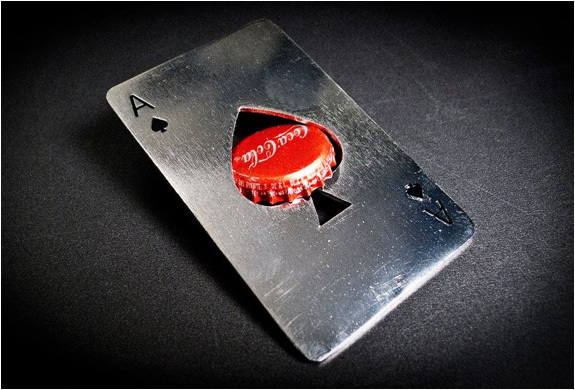 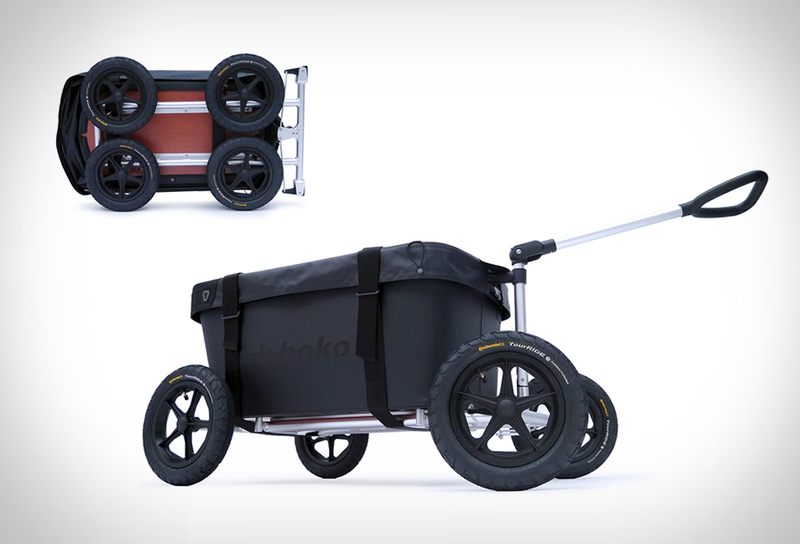 Small enough to fit it your wallet or light enough to go up your sleeve yet strong enough to open a lifetime supply of beverages. 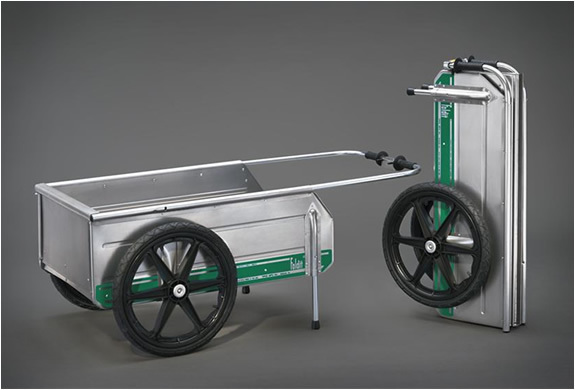 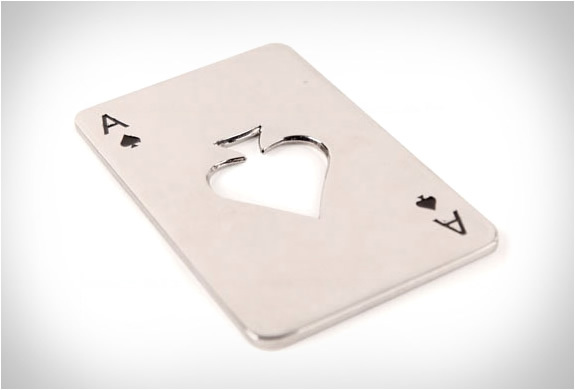 Made with heavy duty 18/8 stainless steel, it is the perfect addition to your next poker game! 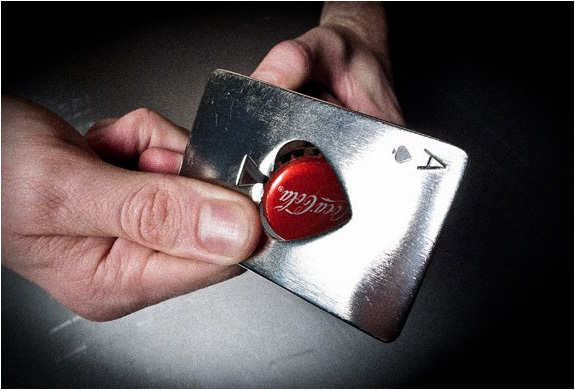 Get it from Dan & Dave or from amazon.